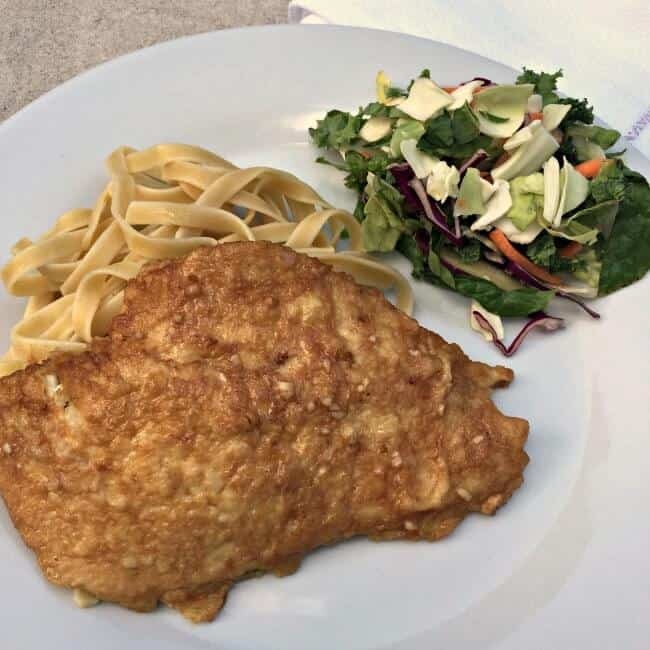 This is an easy weeknight recipe for dinner that takes thinly sliced chicken breasts and pairs them with a light lemon sauce- perfect for serving on top of a bed of pasta! If you are time crunched you can even brown the chicken ahead of time and put it in the fridge. Then you can finish the recipe in about 10 minutes right at dinnertime! 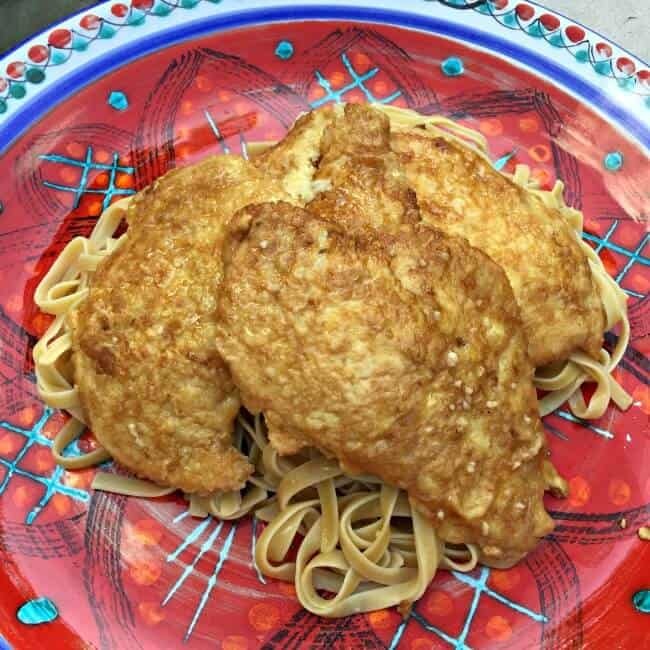 Kids will love this recipe for easy chicken francaise! 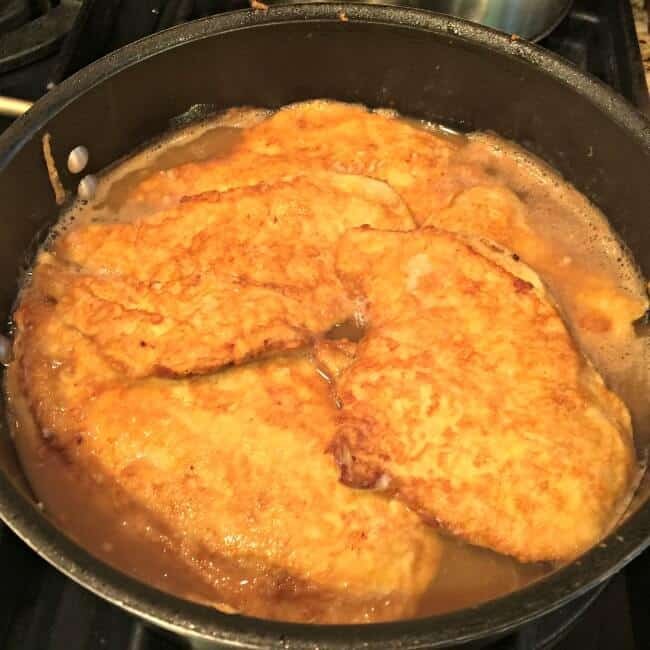 After dredging the chicken breasts first in flour and then in egg yolk, you'll lightly brown each side of the chicken breast in butter. After all of the chicken has been browned, you will prepare the garlic and lemon sauce in the same pan, scraping up any browned bits which add to all of the yummy goodness. Then you'll return the chicken breasts to the pan to finish cooking. Serve the chicken on top of a bed of pasta and drizzle the sauce on top. This is a great weeknight recipe that takes chicken breasts and pairs them with a light lemon sauce. 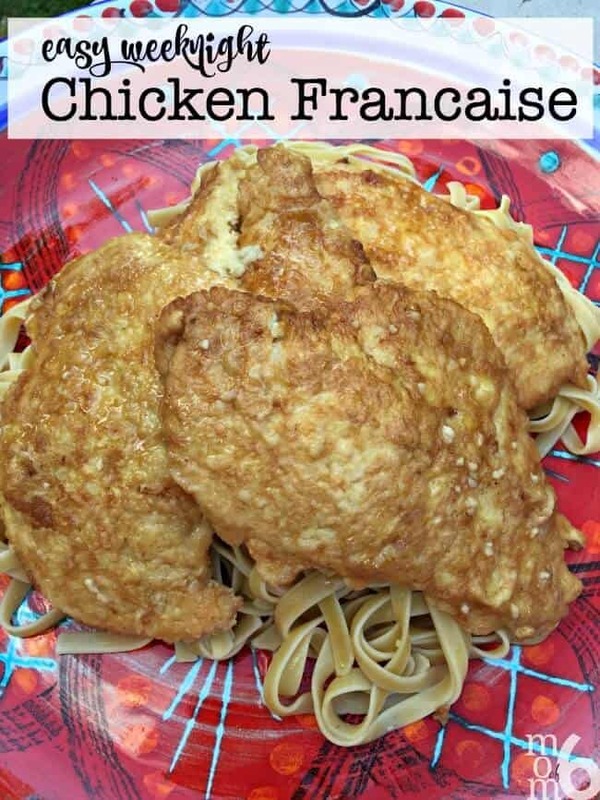 Kids will love this recipe for easy chicken francaise! Place the flour in a shallow pie dish. Beat together the 3 eggs and place into a second shallow pie dish. 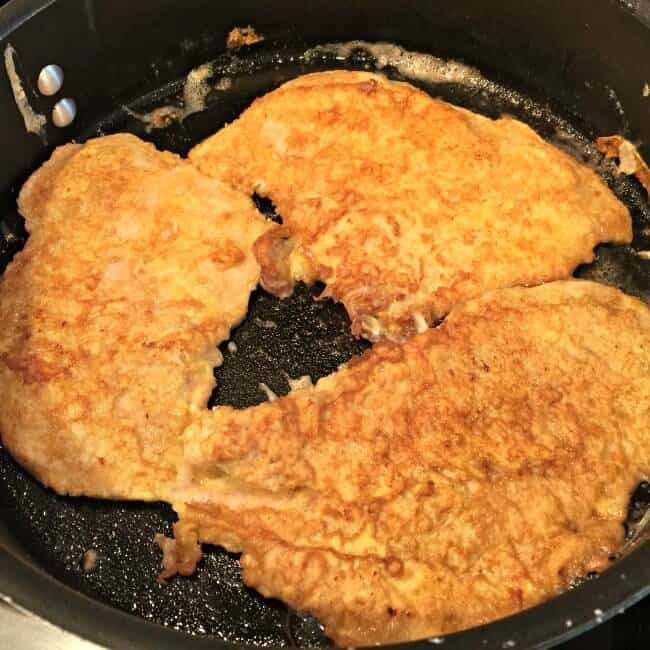 Dredge the chicken breasts in the flour, coating evenly on both sides and then dip the chicken into the eggs. Lightly brown each side of the chicken breast in butter- about three minutes per side. Remove browned chicken from the pan and set aside while you continue to brown all of the chicken breasts. Using the same pan and pan drippings, add another tablespoon of butter and the 1½ teaspoons of minced garlic and lightly sauté. Add in the white cooking wine and lemon juice and allow that to simmer for one minute. Then place your browned chicken breasts back into the pan, cover and simmer until the chicken is thoroughly cooked through- about 10 minutes. 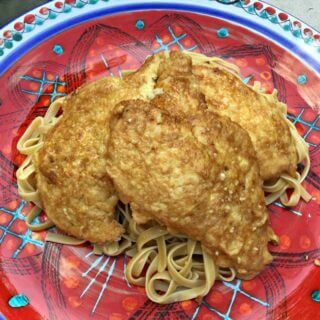 Serve the chicken next to bed of pasta and drizzle the sauce on top. It’s so good! I am sure your kids will love it as much as mine do! « Camping with Kids: 15 Things You Need for a Weekend in the Woods!